We’ve seen brick-built versions of Middle Earth’s Rivendell before (including Alice Finch and David Frank’s astonishing build) but here’s a microscale creation depicting Elrond’s home — “the last homely house east of the sea”. This tiny model by Isaac Snyder is nicely done — I love the way the buildings nestle into the surrounding rock, and the muted colours he’s picked. 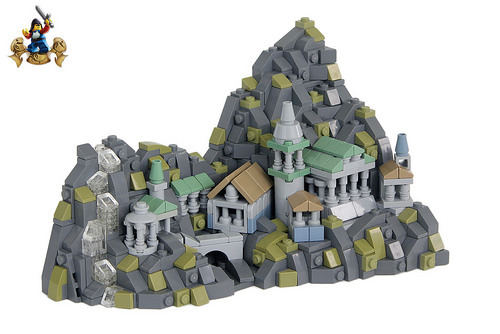 The various techniques and pieces used for different pillar designs are a little masterclass in microscale architecture — well-worth a closer look.